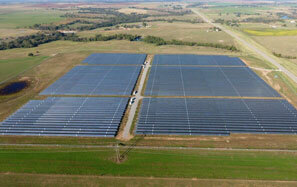 GameChange Solar Genius Tracker™ Sales Grow 400% Due to Low cost, Bankable Quality, and Higher Power Output. NEW YORK, NEW YORK – December 21, 2017 – GameChange Solar today announced that the amount of Genius Tracker™ single axis solar trackers sold so far have more than quadrupled versus one year ago. The value pricing and low O&M cost of the GameChange Solar Genius Tracker™ as well as higher IRR for project owners due to wider row spacing have been the biggest contributors to the rapid adoption of the Genius Tracker™.